Review: Roberto Aglieri is a noted Italian flutist and composer, and his 1987 album Ragapadani stands as one of his finest achievements. Archeo Recordings are ever hip to the finest treasures hidden away in the folds of esoteric music, Italian or otherwise, and have done a great service in reissuing the album so that it might reach a wider audience. Aglieri's flute sounds haunting and evocative over the range of delicate synth treatments, largely orbiting the minimal realm but with a naive charm that makes the music wholly accessible at the same time. Soothing, thoughtfully crafted music for tender times. Review: Originally released in 1999, the cultish reputation of the mysterious Blindboy's sole offering to the world has attained it a high second hand value, and so Archeo Recordings have done the right thing and actioned a reissue. Ruckus In Lo Fi is steeped in Balearic guitar tones, downbeat hip hop cuts and forays into sumptuous jazz funk. There's also a remix from Joe Morris, who fashions a brooding, epic remix of "I Dream" loaded with simmering tension without losing the funky warmth of the original. With all kinds of mellow pouring out of this one, any stone cold chillers out there won't want to sleep on this one. Review: Archeo Recordings chart a course for the Balearics with this laid back delight of overlooked Italian island grooves. 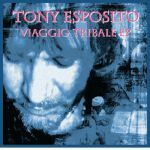 Tony Esposito is a long-serving singer-songwriter, and two tracks from his 2004 CD Viaggio Tribale get a vinyl cut here. "Dove C'e Luce" gets a special, 90s tinged remix from LucaEffeSunset. Antonio Nicola Bruno's "Storia Della Terra Mia" is the first of three unreleased tracks from this little known Lucan artist, striking a curious note with folk undertones and a sunny disposition. There's a more dramatic tone to "Danza E Ridanza," which takes on an almost Talking Heads-esque quality for the "B Version" that closes this high quality 12" from the ever reliable Archeo camp. Review: "This release is a 12"" and it's individually 500 hand-numbered limited edition. The first 100 copies are pressed on CLEAR TRANSPARENT vinyls (AR013). 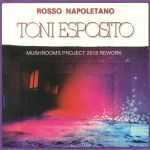 It contains 2 previously unreleased tracks from TONY ESPOSITO's Viaggio Tribale CD (2004): Dove c'e luce and Veronica song + A SPECIAL BALEARIC REMIX of Dove c'e luce from LucaEffeSunset + 3 previously unreleased tracks from the Lucan (Basilicata) musician Antonio Nicola Bruno CD (2004): Storia della terra mia and Danza e ridanza. In addition to the usual Archeo insert of credits and photos of the original album, it features also of a second insert concerning a beautiful photographic journey of 2004 by Manu-Archeo, related to this Music. Archeo Recordings is a reissue record label that regenerates old, lost, obscure (and forgotten) rare gems of Italian music of the 70s and 80s, and not only. 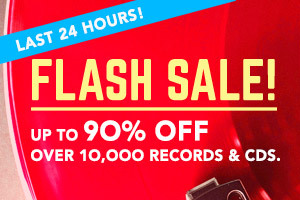 All releases are hand-numbered limited edition vinyl. The first copies of each release are pressed in coloured vinyls." Review: Sth. Notional was a short-lived project that manifested in one album back in 1992, originally released on Japanese label Zero Corporation. Yawn Yawn Yawn focused primarily on various Balearic-friendly mixes of the title track and some other scattered pieces, and now they've received a much-needed spruce up from Archeo Recordings. The "Dream... Another Reality" versions of "Yawn Yawn Yawn" are laid back to the extreme, revolving around delicate instrumentation and occasional threads of speech and singing. There's a mellow beat behind the "G-Tar Cannyon Mix," and the "Thankful Mix" brings a weightier groove to the table. With the other tracks adding to this utterly smooth, early 90s shake, and spread across three discs, this is the holy grail reissue collectors have been waiting for. Miro - "Safari Of Love"
Tullio De Piscopo - "Medium Rock"
Markus Stockhausen & Jasper Van't Hof - "Aqua Sansa"
Paolo Modugno - "Danza Nell'acqua"
Paolo Modugno - "Racconti Dell'arbre Du Tenere"
Roberto Aglieri - "Danza N. 1 #2"
Roberto Aglieri - "Sogno Di Mezzogiorno"
Review: "This release is individually 200 hand-numbered limited edition CASSETTE (100 PINK and 100 SMOKE TRANSPARENT) with a sort of 'greatest hits' of (almost) all Archeo releases (AR001-AR011) + an unreleased bonus track from Roberto Aglieri (Ticino parte 4 - Il merlo), celebrating 3 years of the label, from 2014 to 2017 - selected with love by Manu•Archeo (AR001C). Archeo Recordings is a reissue record label that regenerates old, lost, obscure and forgotten rare gems of predominantly Italian music but also all over the world of the 70s, 80s and 90s.